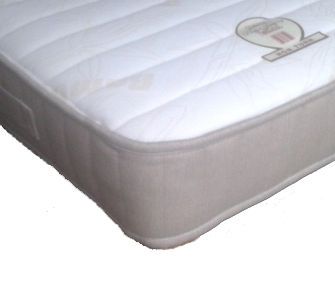 Non Turn pocket sprung mattress with memory foam topping in a keep cool cover. This mattress has been developed to provide your child with the ultimate in supportive sleep, with 32 individually wrapped pocket springs per square foot of mattress. The springs are topped with a 1 inch thick layer of premium quality memory foam, and the mattress is finished off in a keep cool cover which prevents any overheating from the memory foam. Customers absolutely love these mattresses, frequently upgrading their other childrens mattresses to these. If you are just after a mattress, select the size of mattress you require from the drop down boxes below.